More than 40 men from the University of Georgia were killed in World War I. 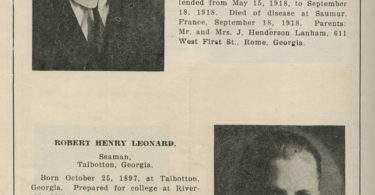 A 1921 feature in the Georgia Alumni Record honored their memory. 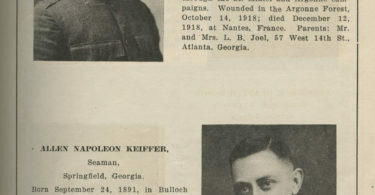 On the 11th hour of the 11th day of the 11th month of 1918, the deadliest conflict the world had ever known came to an end. 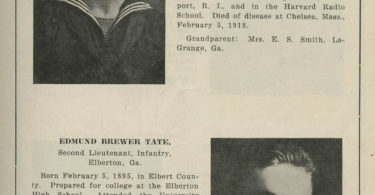 Even though the United States didn’t enter World War I until 1917, more than 116,000 Americans lost their lives in combat or to war-related disease. 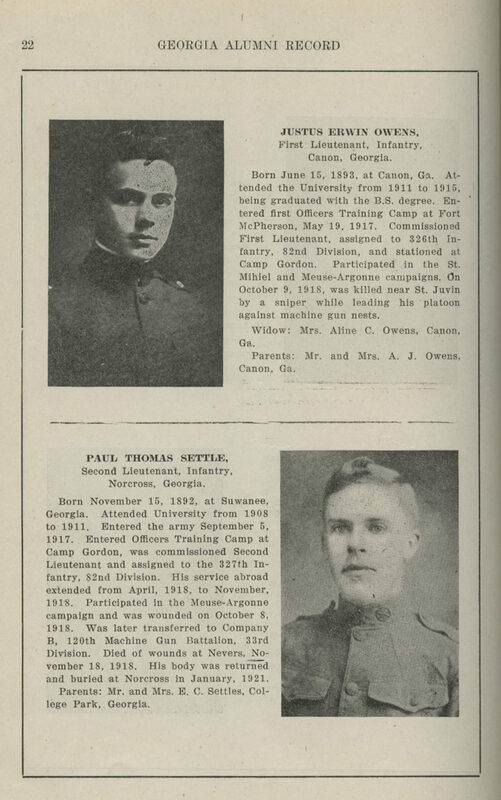 A total of 45 University of Georgia men lost their lives during the conflict. 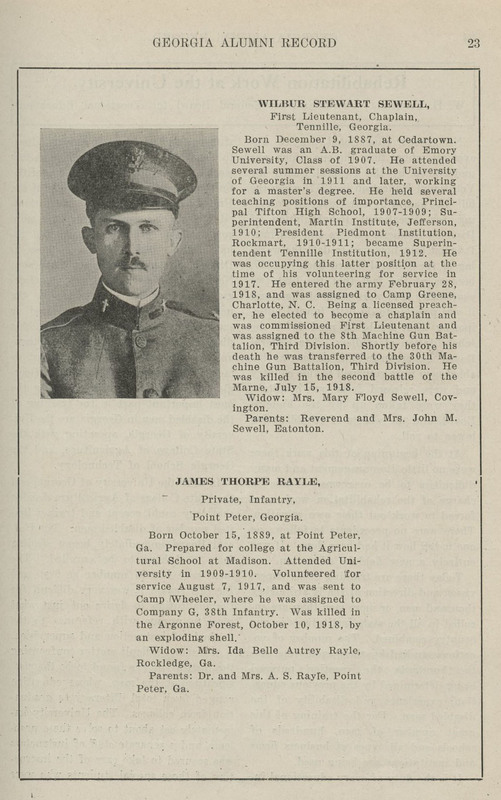 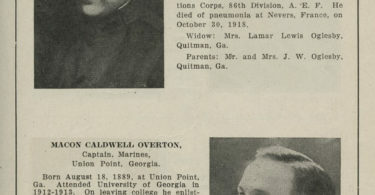 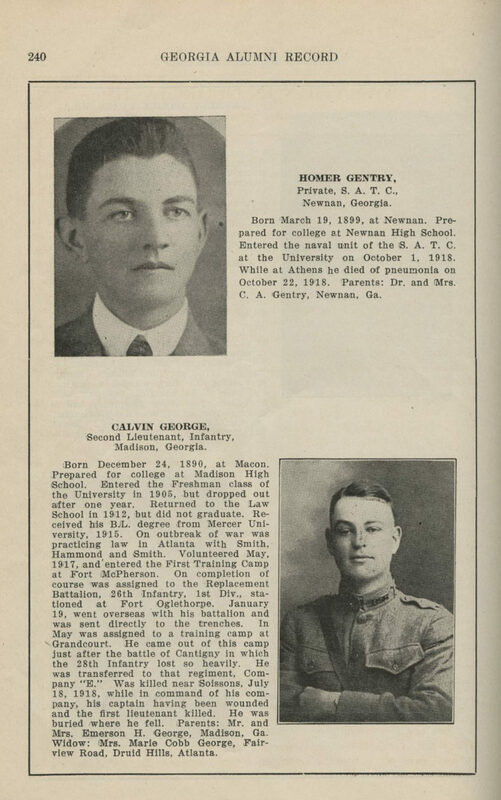 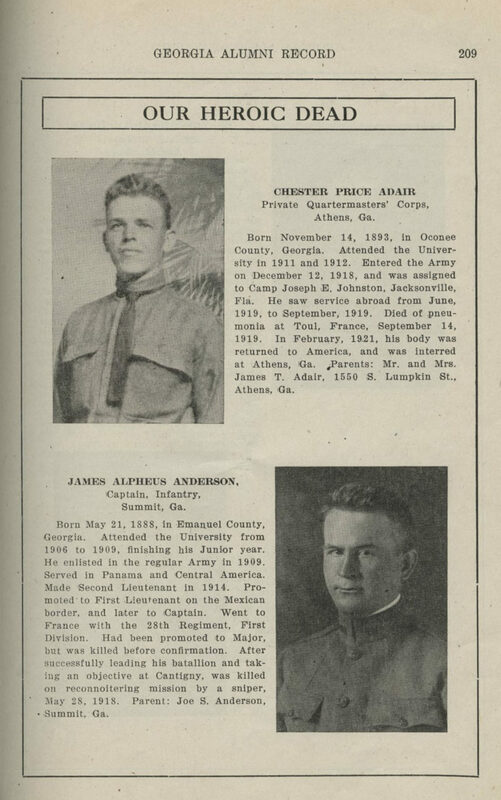 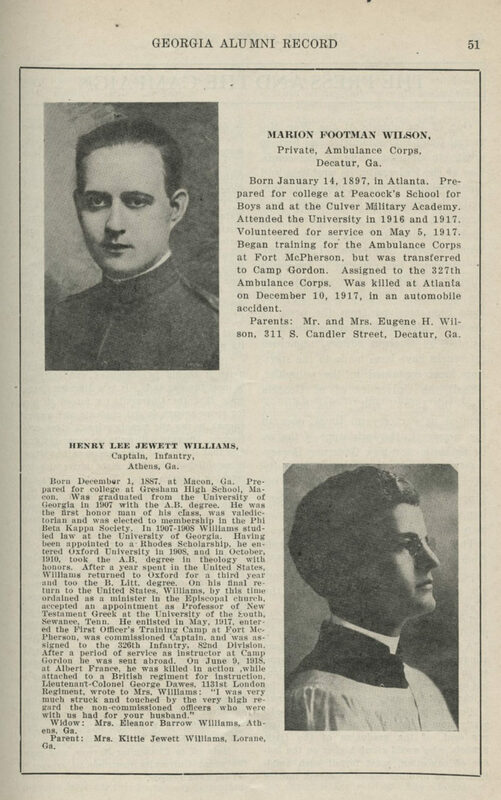 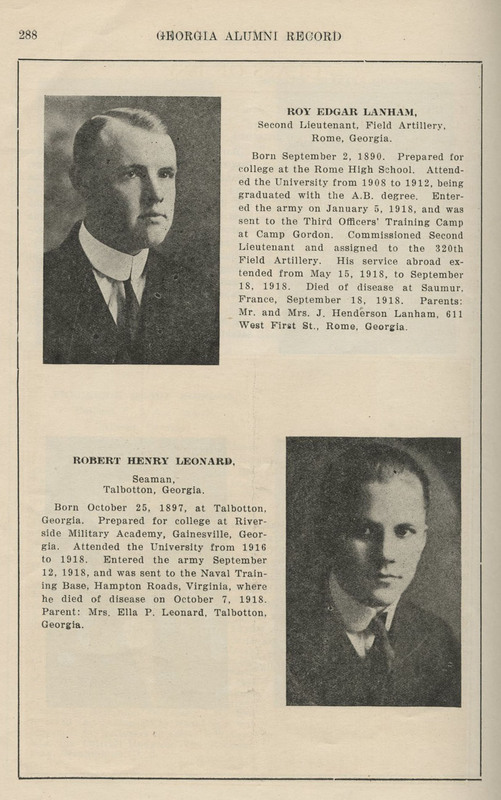 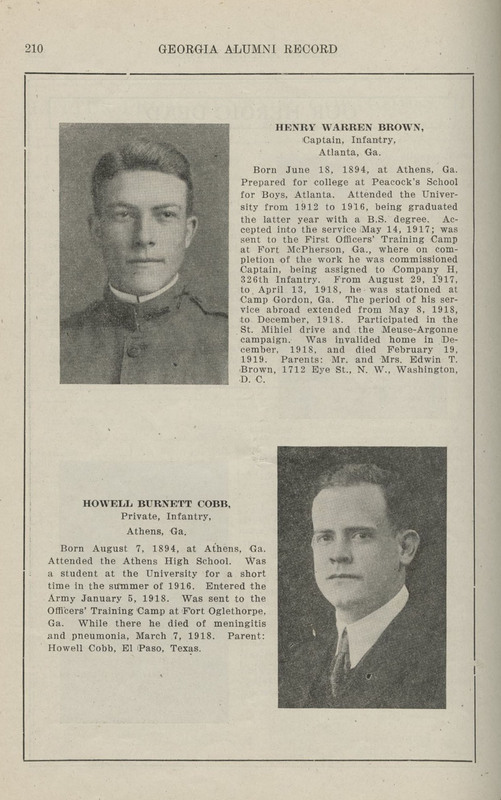 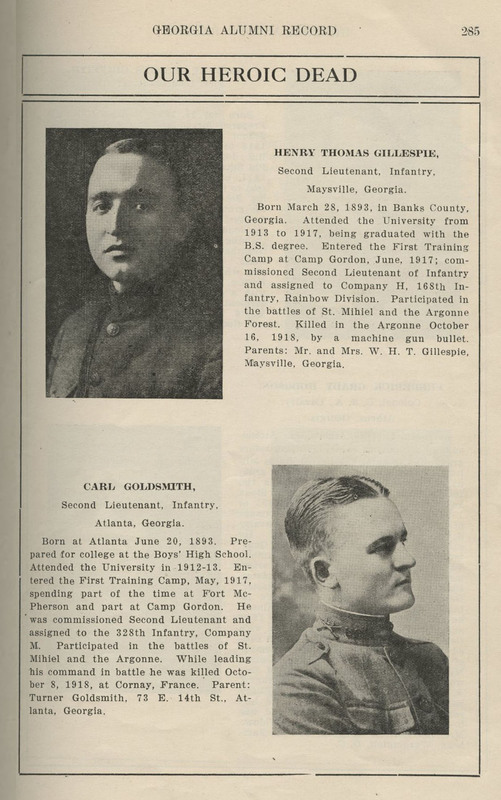 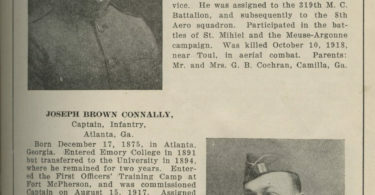 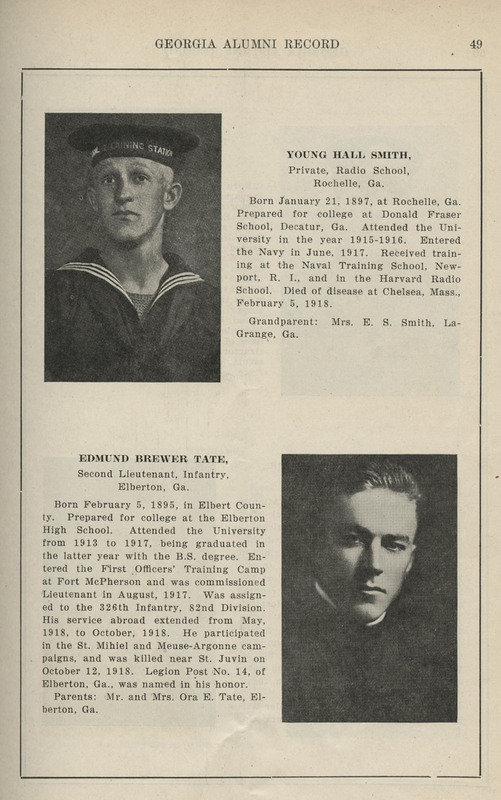 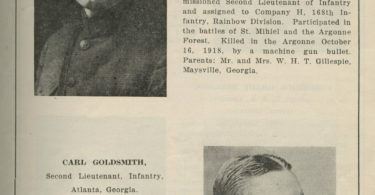 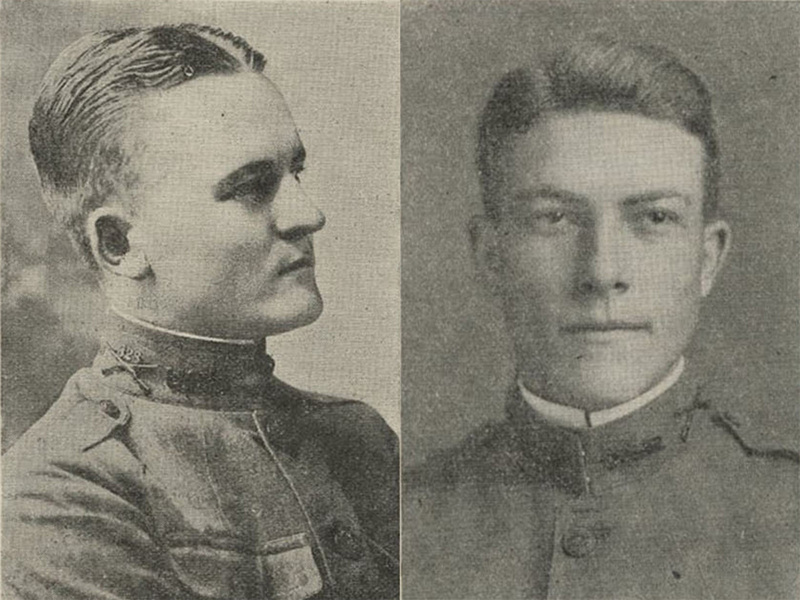 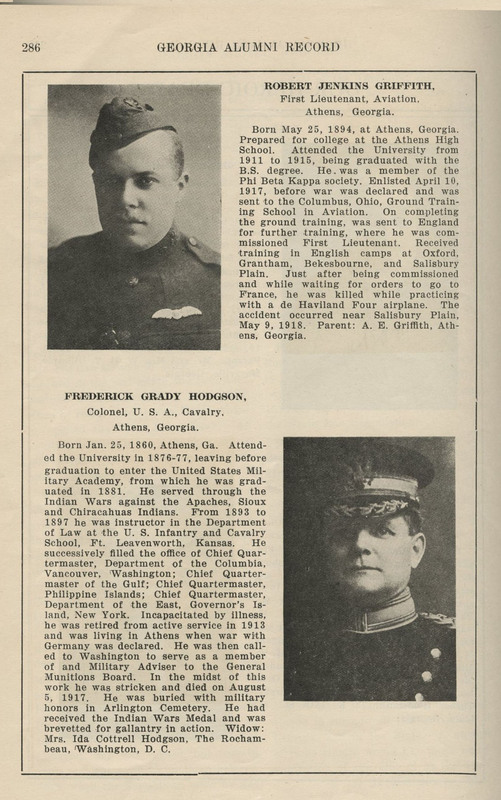 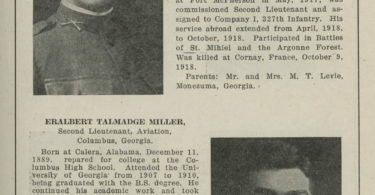 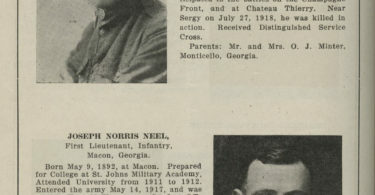 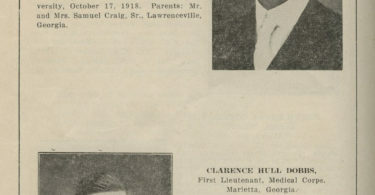 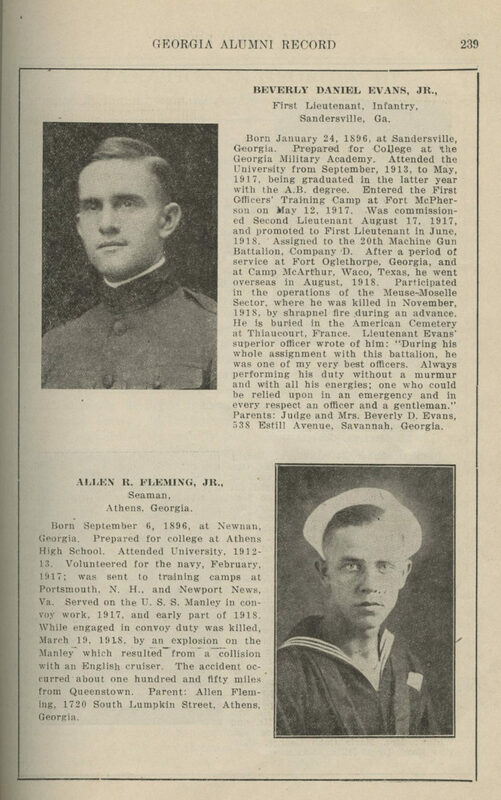 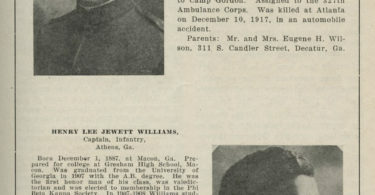 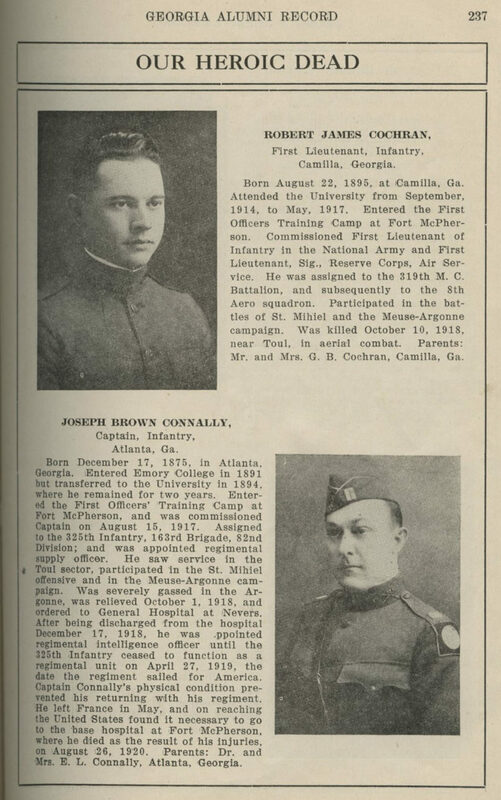 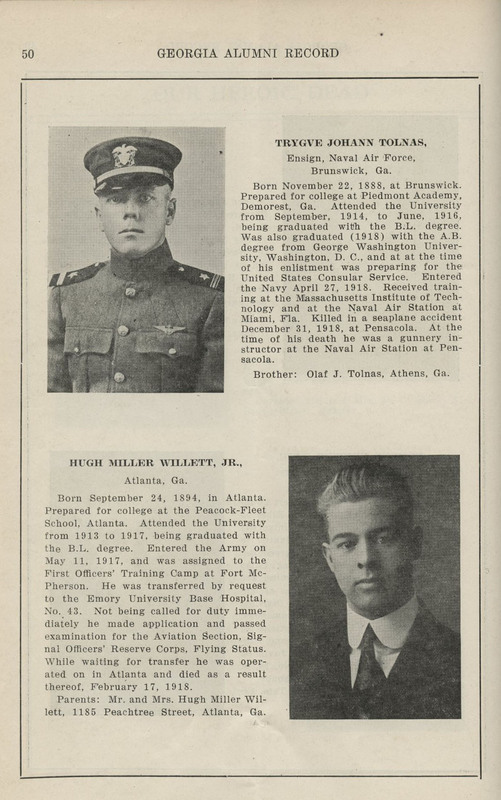 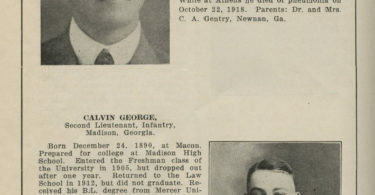 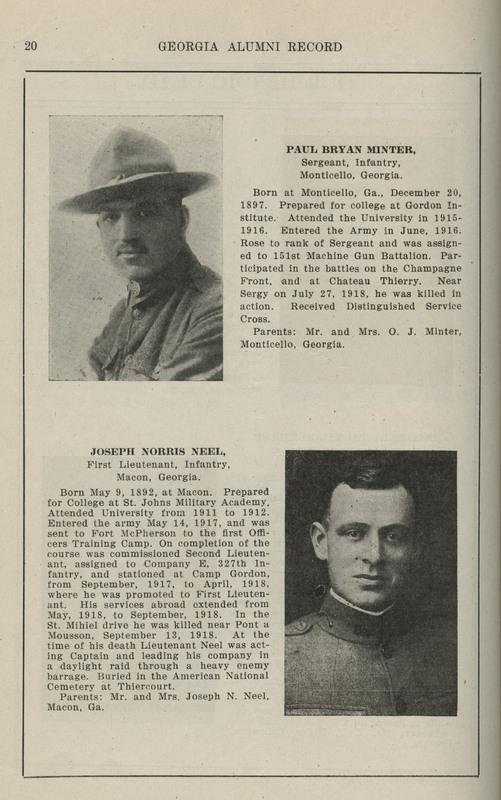 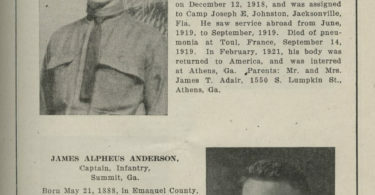 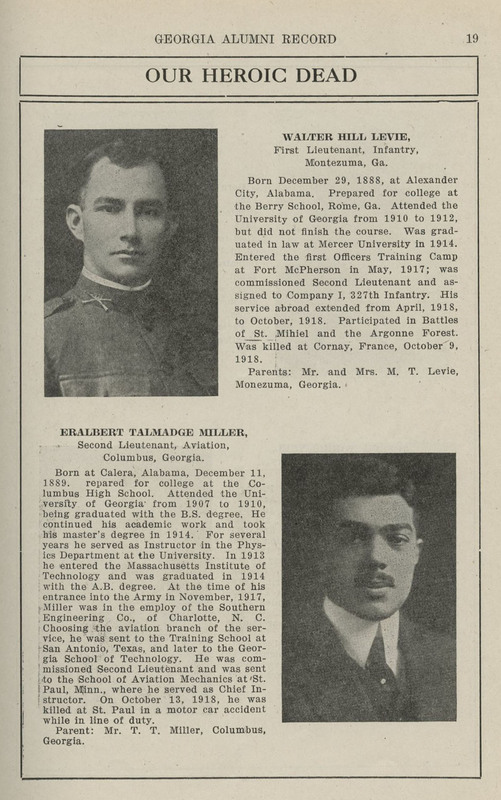 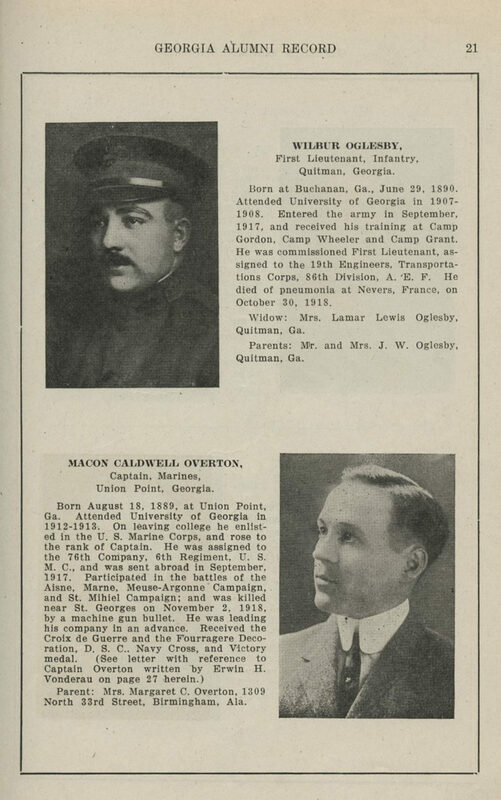 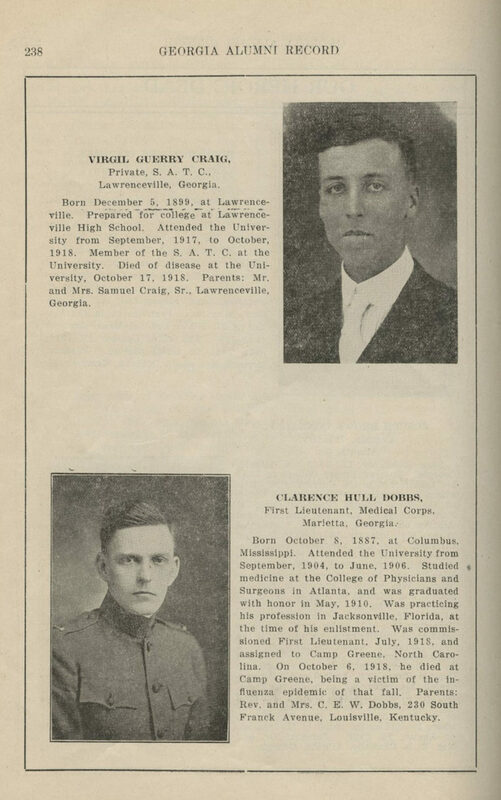 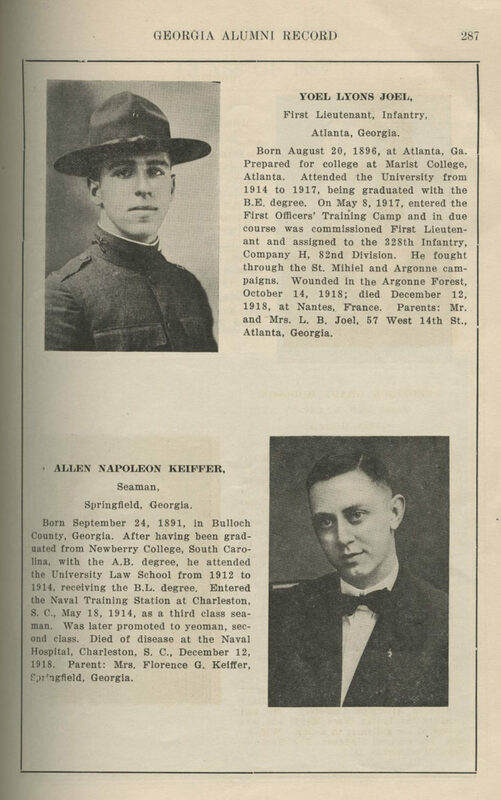 In 1921, the Georgia Alumni Record, precursor to Georgia Magazine, published biographical sketches and photos of 41 of these veterans. 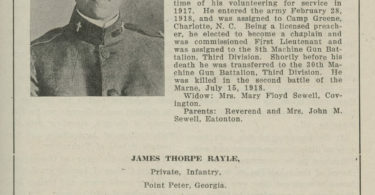 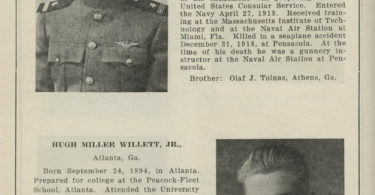 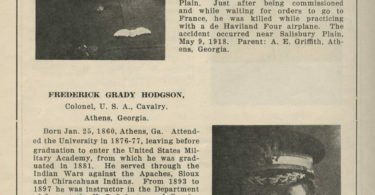 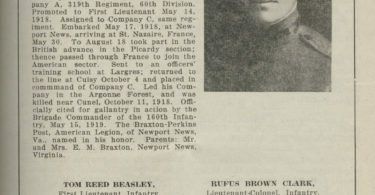 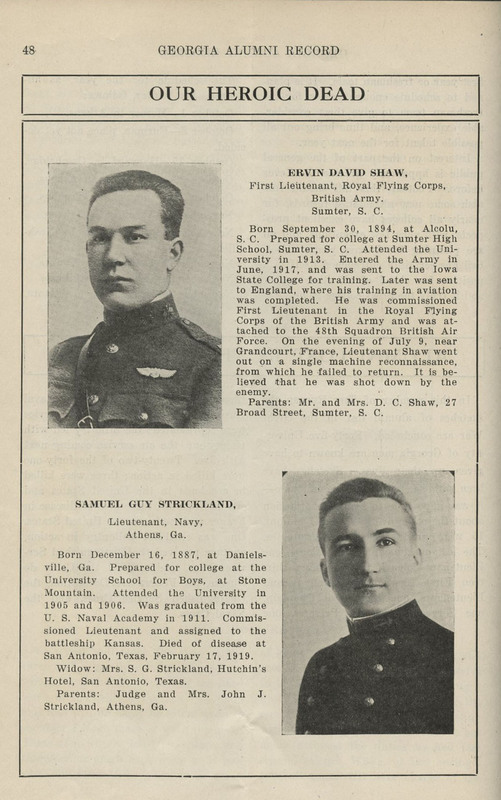 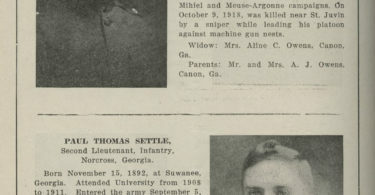 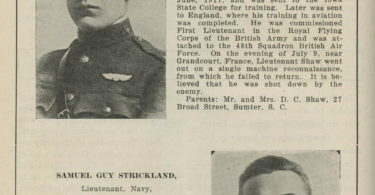 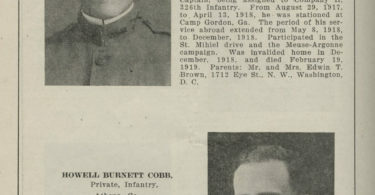 Spread across several issues of the Record, the sketches include photos of each of the fallen along with personal information, such as hometown, family members, degree information, and, in some cases, the details of their deaths. 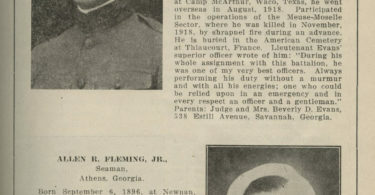 It is a comprehensive, solemn, and respectful remembrance. 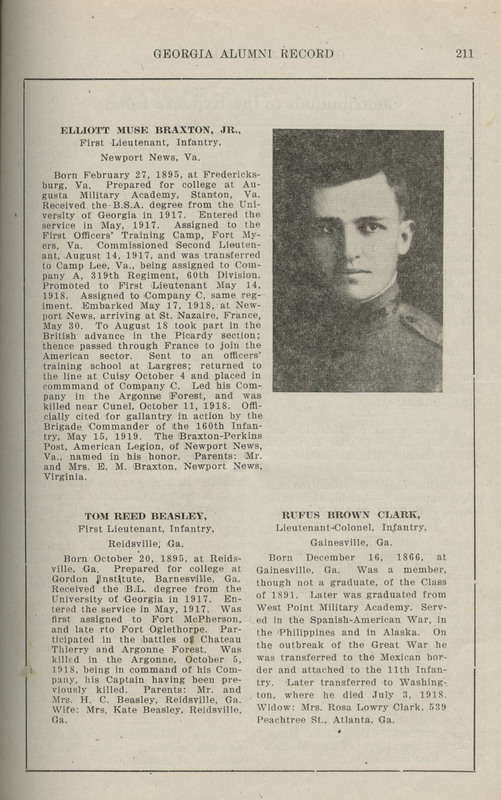 To commemorate Veterans Day 2018 and the 100th anniversary of the end of World War I, each of these sketches is reproduced here.